You already know that the Rock Lab offers a different kind of music instruction. But here are the specific reasons why we're the best value for your music instruction dollars. New Students can take advantage of our Free Lesson Friday! We provide a free consultation lesson with the Director of the School and Professional Musician, Dave Wilbur. Get to know Dave while he gets to understand what level student you are, and shows you some things you can learn at the Rock Lab. While our fearless founder Dave Wilbur oversees all instruction at the Rock Lab, he can't teach everyone. So he's assembled a team of talented local professional and studio musicians to assist him in teaching the Rock Lab Method. Check out the bios of each of our instructors from here. Individual lessons are priced according to the experience, training, certification, and demand of the instructor. The experience of our instructors ranges from entry level to seasoned professional and as such, we are able to offer several pricing options. Because we want to track your progress, there is also a one-time registration fee so we can get you into our database and set you up for easy online billing. We offer two safe, secure, and hassle-free payment methods: ACH withdrawals directly from your checking account, or we can charge your major credit card (Visa or Mastercard). Unlike other schools, our registration fee is a one-time charge which does not recur annually. 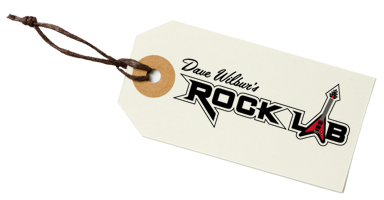 The Rock Band Class program is priced at a discount for our students in our individual lesson programs. This incredible value price includes a semester-end concert and possible additional performance opportunities. We also provide a discount off class pricing if you continue for multiple semesters, which happens a lot, because rocking with others is so much fun! Best of all, the incredibly effective Rock Lab Method instructional materials and method books for guitar, bass, drums and keyboards are provided FREE of charge to our students! Sign up today and start playing music. We recognize that our students come from all walks of life. In these tough economic times, things like job force reductions and unemployment can severely curtail disposable income. We offer a limited number of partial lesson fee scholarships to current students (enrolled for at least 90 days prior to scholarship request) whose family might be experiencing temporary financial difficulties. Just talk to Midge about the situation to see if this program is right for you and your family. We have partnered with The Upscale Music Foundation, which is a non-profit organization 501(c)(3) that operates to help fund music education to people who qualify for financial support. For information about the foundation and the available programs, visit www.upscalefoundation.org.